Mary Joseph aka Meena Kumari ( that was how she was credited in the titles of her first film, and it some how stuck ) aka Meena doesn’t need any introduction for anyone who understands Malayalam cinema. The Meena effect is THAT all-encompassing. I cannot think of another actor in World Cinema ( yes, you can read that again) who served sarcasm with such sassiness and verve. And when she decided to mix it up with earthy humor, all you can do is sit there shaking, holding on to your sides and be amazed. Meena, just like most of her peers had this amazing ability to ‘disappear’ onscreen, along with the cinema lights. All that remained onscreen was the conniving, conspiring mother-in-law ( I think she must be the one to have played the maximum ‘varieties’ of that in Indian films – talk about being type-cast ! ), or the manic proponent of a ‘very emotional path’ to reach Jesus, or the orthodox, socially inept Brahmin matriarch, or the loving mother with a razor blade masquerading as her tongue – she did them all and more with sassiness that seldom few can boast of being blessed with, onscreen. Meena, along with being one of the finest actors that ever graced the Malayalam screen, was an equally wonderful and compassionate human being with an irreverent sense of humour as well, and the instances of her generosity and compassion, have been quoted in many instances, the majority of them by Sathyan Anthikkad, whose films always had a place for her, and which also gave some of the best roles of her career. In Sathyan’s tribute to his favorite actors, put together by Taha Madayi in Sathyan Anthikkadinte Grameenar ( You can buy it here), he speaks about this instance, (one of the many that so beautifully brings out her empathy and caring) where during the shoot of his debut movie, Kurukkante Kalyanam almost came to a standstill because his producer, try as he might, just couldn’t find the money to buy evening ‘tiffin’ for the entire crew for the scheduled full day shoot, during a break at 6 pm, which was the custom. Dive straight to 6:00 and stay till 9:30 . The producer, Rashid, wanted Sathyan to packup at 5 pm ! Sathyan was aghast. They had got Madhavi, the leading lady of the film, managing shooting dates with the finesse of a seasoned acrobat, and one day lost would mean another spell of financial troubles on the already stretched production budget which was, to say the least, threadbare. They had to make the maximum out of the available time with the major artists on the set, and he had planned for shooting till 10 pm. Depressed, overwrought and not knowing what to do, Sathyan was moved when Meena, who was within earshot of the entire hushed conversation, and played the memorable Aaminumma in the film, silently slipped in the cash into Rashid‘s hand and quietly, firmly told him to go and order food for the entire crew. From Karuvatta, (near Haripad), Mary aka Meena was born on 23rd April 1941, the 8th and the youngest daughter of Koyikkaleth Itty Cheriachen and Eliyamma, and took to local theater and drama projects like fish to water at a very young age. Come to think of it, isn’t that exactly what her name represents, the Meena rasi – Pisces ? She had, just like her peers finished a long and productive stint in amateur and professional theater for getting into films. From what I could gather, her theater debut was called Nirdoshi. She was associated with some of the very popular professional theater companies like Geetha Arts and Kalanilayam for 6 years before her debut into films. Her first film, from what I could gather ( information on her is so, so difficult to come by ) was Kudumbini in 1964, scripted and mostly directed by Sasi Kumar, and was also the debut of Zero Babu as a playback singer, the movie that made LPR Varma a popular music director for films, and the movie that gave CO Anto his first popular hit song. from Kudumbini in 1964 till her last movie Anjarakalyaanam in 1997, in a film career close to 4 decades, an exact count of the number of films she has been a part of still remains elusive. She was someone who just did her films do the talking, carried herself with quiet dignity and grace and remained a true professional till the very end. Speaking of her professional career, interestingly, it seems to have followed roughly the same pattern of her peers – the established male actors typecast as villains, baddies and punching bags by a restricted business vision of the film production dynamics of their early years graduating to their true calling through the committed will and foresight of some young directors who realised their true potential. Think Janardhanan and Cochin Haneefa, who were just a rung lower than punching bags in their early decades till Rajasenan and Sibi Malayil came along and showed us the true worth of these actors. Meena was no different. Relegated to the evil mother-in-law/step-mother/wife roles in her early years, she was our own Lalitha Pawar of Malayalam cinema for a while. It is interesting to note the uniqueness she brought to essentially the same role in so many different ways, from her attire to her body language to her tonal delivery, that made each one of them so refreshing. You knew she was evil, but you looked forward to her onscreen so that you could hate her more. Compare two of her compelling performances from that big bad body of the ‘evil MIL ‘genre, Paru Amma from Achaaram Ammini, Osharam Omana (1977) and Sthreedhanam (1993) – the basic premise and the character realisation is the same, but both stay memorable for the uniqueness she brings in portraying them. The inherent qualities that we perceive in them, as viewers and participants of the proceedings are same, but they stay different. I think one has to have mastered the nuances to get them right and memorable. Meena had that magic wand. Even when seemingly stuck in the rut of the ‘evil matriarch’ in Malayalam cinema, she worked her way around as an actor to be part of movies that portrayed her in a delightful different light altogether. A pleasant surprise was in KS Sethumadhavan‘s Aranaazhikaneram (1970) where she played Annamma, the quiet, timid, withdrawn, traditional wife who undergoes an amazing transformation towards the end of the movie that is equally heartbreaking. How about Saarassayi Madana from Maanyashree Vishwamitran (1974) ? I guess she did as the ultimate parody on all those ‘seduction – romance dances” in Malayalam cinema by the leading ladies in her own way 🙂 She could do what she pleased, you see, she was p****d drunk 🙂 All the more reason to let it out, all cylinders firing.But her lip-synch on the classical bits is spot on ! I think she came to her own in the 80’s, and her association with Sathyan Anthikkad‘s Kurukkante Kalyanam became the key that opened up a lot of possibilities for the real actor in her, based on the three decades of screen experience she had as a film artiste, strengthened by her strong base on theater. With Sathyan Anthikkad, she regaled us in Mandanmar Londonil (1983), Appunni (1984), Kaliyil Alpam Karyam (1984), Nadodikkattu (1987), Varavelpu (1989), Mazhavilkaavadi (1989), Sasneham (1990), Thalayalamanthram (1990) and Golantharavartha (1993) – ( did I miss any ? ), and I think the majority will agree that some of her most memorable characters, and arguably one of her career’s best came from this association. The 90’s belonged to Rajasenan‘s movies, with her giving us her way with his unique humor sensibilities ( though it became kind of cheesy and obnoxious through the years) in Ayalathe Adheham in 1992, following it up with her spectacular and the best role of her career ( atleast for me) in Melepparambil Aanveedu (1994). Aniyan Bawa, Chettan Bawa (1995) followed, and The Car (1997) was the last amongst them. Her last movie was Ancharakalyaanam (1997 ) ( thanks to Jay ) , directed by VM Vinu. It was in September, 1997 that she succumbed to a massive heart attack. In a Movie Artistes’ Directory brought out by the actor Kaduvakkulam Antony in 1988, he pegs the number of movies that Meena has been a part of, at 600 ! The sheer number of projects that she has been a part of is mind boggling, somewhere close to the realms of Sukumari‘s body of work. Even Meena had an equal number or more releases in the late 70’s that Jayan had at the peak of his career, in the range of 12 – 13 movie releases an year ! That, in itself, shows the industry’s desire to make her a part of the announced projects, an vindication of her talents that formed a vital part of the commercial aspects of the movie industry. She was that cog-wheel that the main flywheel always felt comfortable and reassured by her sheer presence. She was undoubtedly one of the finest actors in Malayalam cinema. Period. Related : Meena | My Favorites. Previous PostMeena | My FavoritesNext Postനവോദയ അപ്പച്ചന്റെ ഒരു പഴയ ക്രിസ്മസ് വെല്ലുവിളി. She is/was my Favourite old Actress. It is really great to see attempts are on to remember yesteryear actors. It do evoke fond memories of those loved ones. With the meagre paycheck and tight schedules they toiled hard for their family and to the industry which provided for them. I think a genuine database should be made on all the old actors in malayalam film industry,including those are not active at present. It is our duty too. Thanks for all the efforts you are putting in. I do watch all those b/w movies. some are atrocious to the senses ,still they were the forerunners to a fraternity widely respected and recognized for the multitude of talents and creativity, now. Those films do bring a smile. and Meenamma was one of the great talents of malayalam film industry, no doubt about that. She was such a wonderful actress… miss her a lot… 😣😣😣… actually I want to say a lot about her… but…. I know about meena kumari amma.malayalam actress.Iknowabout her husband and son daughter.I know her house . You forgot about her role in Yodha. She is a delight to watch when she appears. I didn’t JJ. I presume you didn’t have a chance to go through a related article on her. 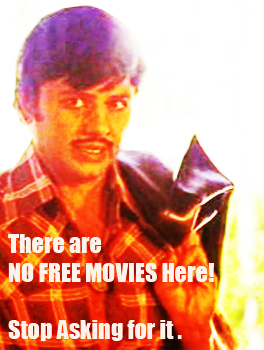 https://oldmalayalamcinema.wordpress.com/2011/12/21/meena-my-favorites/ Thanks, cinematters. Its very sad that there is no article in wikipedia about great actress Meena…We give more importance to KPAC Lalitha(she is a gud actress),Kaviyoor Ponnama(have the same expression in almost every films)..
It’s great to learn more about Malayali actors and actresses, specially the ones who flourished in the 70’s and 80’s and have more or less gone into oblivion now, because they lived and worked in an era when we had no internet. I am enjoying all these articles. Thank you. Had a good laugh watching Meena’s comedy roles and the dances. Bravo, Cinematters, for unearthing this much info about this actress who was an essential in Malayalam cinema for so many decades. Pazhaya kaala malayalam cinimaye njaan ippozhum ishttappedunnu. Hi Cinematters……this is an eye-opener. I have always overlooked the performance of Meena, probably because of the consummate ease with which she played her roles. I will look out for her performances in future movies I watch. Varavelpu is actually a classic example, now that I think of it. She is like my Grandmother .Hop now a days every one like n miss her badly . She was hav a Daughter she is working as a Dr , thy are settle in cochin . To err will always be human, let’s not fiddle with THAT :). Jump straight to 7 :34. There is one role that she played as Thilakans wife with shades of negativity and a bit funny. May be Maha Nagaram. Also same combo in Kattukuthira, right?